The Dallas Symphony Orchestra League will host Savor the Symphony, a five course wine paired meal at the Adolphus Hotel, 6:30 pm on Saturday, April 22, 2017. 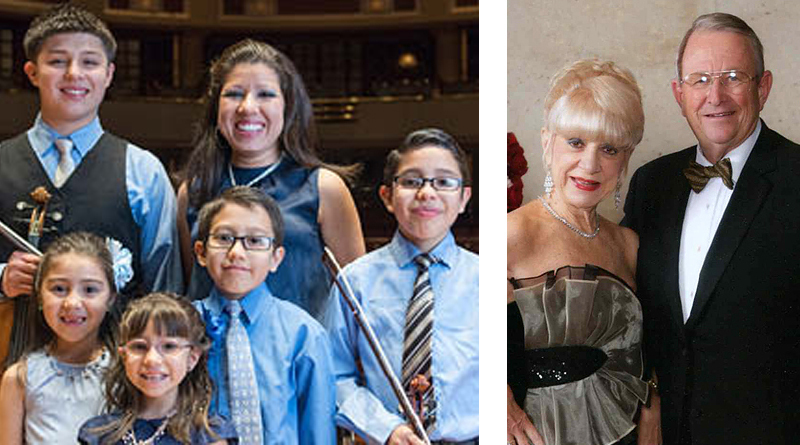 Founded in 2000, Savor the Symphony is an elegant black-tie optional event that benefits the Dallas Symphony Orchestra Outreach and Education Programs. These programs include Some of the quality outreach programs the League supports are: Youth Concert Series, Artists Educate, Young Strings and Music Memory. This year we are also incorporating the Innovator’s Red Violin Program. The Young Strings program discovers, develops and promotes the musical talents of outstanding African American and Latino string students in the City of Dallas. 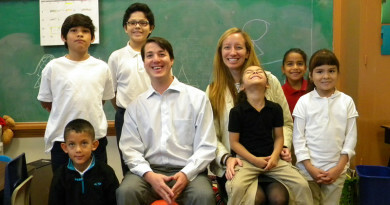 The Red Violin is a sponsorship program that provides string instruments to students in the Young Strings program. The tradition continues in 2017 with Barbara and Robert J. Bigham, Jr. serving as Honorary Chairs. There will be a small live and silent auction, dinner and dancing. Tickets start at $250 each. Michelle Anderson is chair of Savor The Symphony. 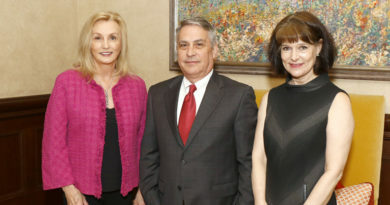 Sandy Secor is president of the Dallas Symphony Orchestra League. The historic Adolphus Hotel, opened in 1912 has undergone a lengthy renovation. It was built by the founder of the Anheuser-Busch company. The new chef has planned a special menu for this event. Please join us for a lovely evening benefitting the arts. Memorable Napa Valley experience. Private tastings at premium wineries, wine collection advice, Custom itinerarie creating a unique opportunitie for a weekend stay. Two tickets on American Airlines. Stay at a 5 Star Resort. Season-long access to Stradivarius Patron Intermission Reception; enjoy complimentary beverages and desserts during subscription concert weekends. Exclusive Stradivarius Patron events throughout the season. Invitation to Chairman’s Dinner, an elegant dinner hosted by DSA Chairman of the Board at a premier venue. Signed music score by Jaap van Zweden and two tickets to the Prokofiev 5 concert during Soluna (complimentary). Jaap van Zweden conducts Prokofiev’s hymn to the greatness of the human spirit. Plus, Yefim Bronfman performs Brahms’s Second Piano Concerto.SOLUNA is a festival for Dallas, bringing together international artists with Dallas’s finest arts organizations. Anchored by performances with Jaap van Zweden and the Dallas Symphony Orchestra, SOLUNA celebrates Dallas’s rich cultural legacy and diversity of expression. Rated as one of America’s Top 100 Wineries out of 9000 by The Daily Meal in New York, Dallas’ own Inwood Estates Vineyards has established itself as the preeminent Tempranillo producer of the U.S. Winemaker Dan Gatlin, now in his 37th year of growing grapes, draws heavily on his career experience as a professional wine buyer with extensive experience in France, California and other parts of Europe. More importantly, Mr. Gatlin is also well-known to be one of the more controversial and provocative figures in the industry. He is an advocate of the “anti-terroir” view, which focuses on the discrepancies and conflicts between modern science and the centuries-old idea that soil and climate make flavor in wine. The presentation will include an elaborate tasting of $200-500 wines. Inwood’s top products (over $200) will be tasted against similar wines including Termanthia, Vega Sicilia and Chateau Lafite Rothschild. Also, included will be a tasting of Dallas’ only authentical local wine, the Chardonnay produced at the Gatlin’s former estate on Inwood Road near Lovers Lane, versus Chassange-Montrachet. In addition, this item is given by Rose Mary Gatlin, a former President of the Dallas Symphony Orchestra League and one of the original creators and founders of Savor the Symphony. This is a great opportunity to become acquainted with the emerging science which threatens to unravel the wine establishment worldwide. Come learn why soil and climate do not make flavor in wine and see what actually does cause flavor molecules to form. Most people who have seen the presentation agree that their view of wine is forever changed. The star-studded black-tie gala will feature classical music legend Yo-Yo Ma performing with Music Director Jaap van Zweden and the DSO, following an elegant evening of food, fun and festivities at the Morton H. Meyerson Symphony Center. Mr. Ma is one of the world’s most celebrated artists with a multi- faceted career encompassing performance, education and activism. He will perform the Dvořák Cello Concerto at the Gala Concert. The rectangular case of the Deco Diamond reflects the geometric shapes identified with Art Deco architecture. Brilliant diamonds surround the mother-of-pearl dial on this Swiss chronograph that features a subdial for the day of the week. One hundred and forty two diamonds enhance the stainless-steel bracelet which is interchangeable with any 18mm MICHELE strap. Drive a Maserati for a weekend and enjoy dinner for two at Stephen Pyles Flora Street Café and a one night stay at The Joule Hotel. Generously donated by Boardwalk Ferrari Maserati. 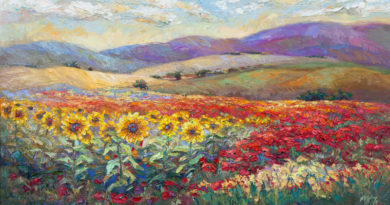 Pastel on paper, Ann Weary (American 1952 – ), 6” x 8”.Generously donated by David Dike Fine Art LLC. * Photo of Barbara and Bob Bigham by James French Photography. Young Strings photo courtesy Dallas Symphony Orchestra.